When you think of hot hatches, the VW Golf GTi immediately springs to mind. Because of the success of the Golf, it is easy to forget that the Renault 5 was also part of the early hot hatch revolution. In fact it arrived in 1976, before the Golf GTi did. And yet the Renault 5 seems largely forgotten these days. Both were compact, economical, affordable, practical and sporty. A combination that helped them sell in the millions. Launched in 1972, the Renault 5 was actually a side project of designer Michel Boué. His radical design was noticed by Renault management who gave the green light to development and ultimately to full production. Sadly Boué died of cancer in 1971 so never witnessed the success his design would have. The Renault 5 Gordini was the French marquees performance version of their little hatchback. 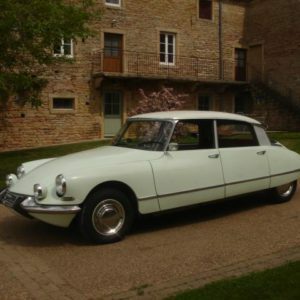 With the standard car using a variety of engines ranging from 782cc to 1289cc, Renault decided to increase the engine capacity to 1397cc, increasing power output to 93BHP. Not bad for a little car! It proved a very successful move as sales took off eventually leading to the launch of the famous Renault 5 Gordini Turbo in 1982. They certainly were the pocket rocket of the day, with great handling and excellent acceleration thanks to their light construction. 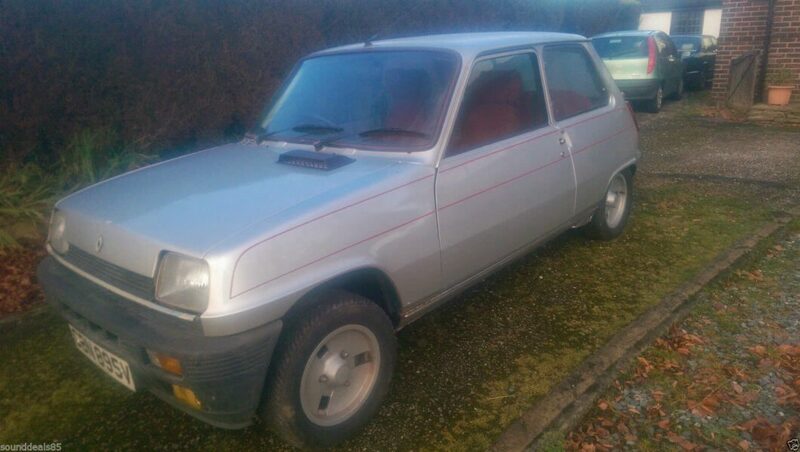 The car currently on offer is a 1980 Renault 5 Gordini. The seller states it has 41,000 miles and has been off the road and dry stored since 2011. 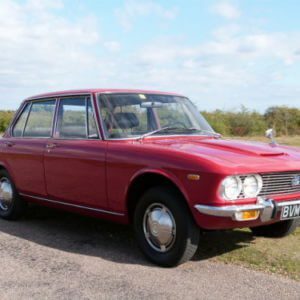 The car is reportedly in good all round condition with good mechanicals, with the exception of a sticking brake calliper, no doubt for sitting in storage. It also needs some attention to the paint. Over all the car appears to be fairly straight in the photographs though its hard to see detail as it looks like the camera lens was fogged when in use. It’s still wearing it’s original alloys which is good and the Gordini decal and badge are intact on the boot. The interior is a very strong red which we assume is original and looks to be in good condition. There is some paint wear on the steering wheel but that’s very minor. Engine bay photos aren’t the best and you can’t make out too much detail. A good steam clean looks to be in order! The seller doesn’t mention any service history or support documentation to warrant the claimed 41,000 miles so that will need checking. The Renault 5 Gordini is one quick little car. Overall this Gordini looks to be in good shape. The Renault 5 had a basic but practical interior. Those seats are very red, but look comfortable. And the boot has lots of space for the weekly shop. Nippy and practical! Overall this Renault 5 Gordini looks an interesting example. There are currently only 3 driving on UK roads with a further 12 on a SORN. So this is a very rare Renault indeed. We would approach this one with caution as the Gordini’s have a reputation for cooking their head gaskets. The bodywork can rust badly and with replacement panels virtually non-existent, repairs can be costly. Corrosion can also affect the rear suspension mounts which can be a concern. A detailed and thorough inspection of this pocket rocket would therefore be essential. Prices are on the up however which makes this Gordini an interesting prospect, assuming it’s not hiding any rust horrors. A 1983 Gordini Turbo in good condition sold for £6,572 at SWVA Auctions in April last year. So this non turbo could be worth a look. It would make a great little car for a blast in the countryside and with no turbo to scare you, it shouldn’t be as hairy to drive. Current bid is £1,505 with nine days remaining.